There a few things more gut-wrenching than the thought of our loved ones going to hell. We must pray for them without ceasing with all hour hearts. 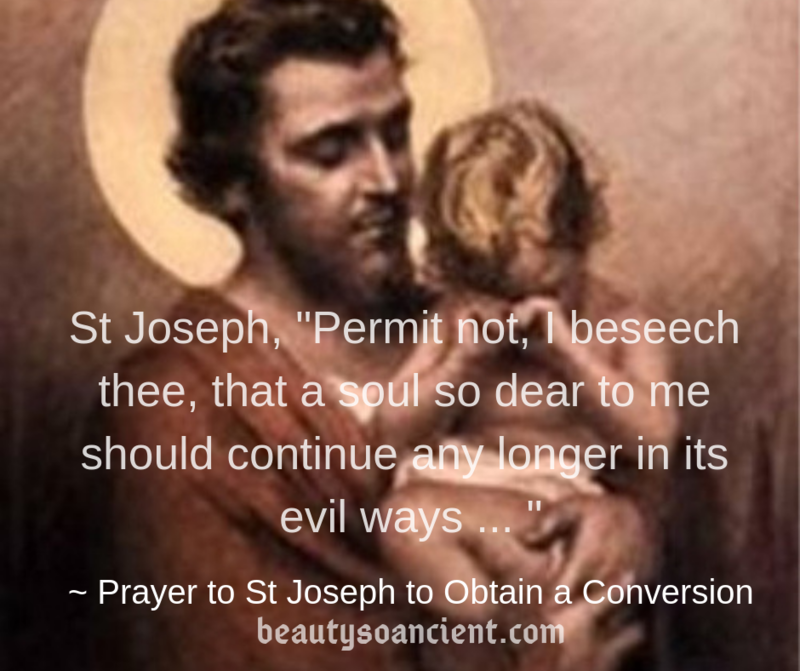 We love this Prayer to St Joseph to Obtain a Conversion, as St Joseph is the Patron Saint of the Church. O Glorious Patriarch St. Joseph, who merited to be called “just’ by the Holy Ghost, I urgently recommend to the soul of [Name], which Jesus redeemed at the price of His Precious Blood.